Agriculture is the conerstone for economic development in Africa. it have been identified that Information and communication technologies can assure sustainable support to rural livelihoods. this blog is create to improve the capacity of all stakeholder involved in agricultural sector. our mission is to diffuse, all innovation for agricultural development in Africa. African Forum for Agricultural Advisory Services (AFAAS) is a Continental body that brings National Agricultural Extension and Advisory Services (AEAS) under one umbrella. Its mission is to promote lesson learning and add value to initiatives in agricultural advisory services through sharing of information and increased professional interaction, and its goal is to enhance utilization of improved knowledge and innovations by agricultural value chain actors for improving productivity oriented towards their individual and national development objectives. Currently AFAAS is active in 17 countries. In each of these countries it works through Country Fora (CF) that bring together diverse public and private sector individuals and organizations operating at different levels of the national agricultural innovation systems. These include farmers/ farmers’ organisations, agricultural advisory service providers, policy makers, and the whole range of actors who support value chains. The CF provide all these actors a space to share their experiences, exchange information, providing services to each other and identify opportunities for AEAS-related innovations in their domains of work. AFAAS builds the institutional mechanisms for this to happen. In the countries where such mechanisms have taken root, AFAAS has embarked on facilitating them to undertake communication, information and knowledge management (CIKM) as a service to the members. The KM activities focus on facilitating and building capacity for: (i) communication and engagement between members, (ii) generation of content that can be shared between members, (iii) adoption of tools and platforms for engagement/communication and content generation, (iv) network sustainability, and (v) governance to ensure that the CF is credible as a knowledge network. The AFAAS Secretariat has put in place mechanisms to support the activities. These include a website, a virtual social networking platform (VSNP) and presence on various social media platforms to support web-based KM. It also supports non-web based KM activities in the CF such as production of newsletters, workshops, conferences and marketplaces for information and services. AFAAS through the CFs is soliciting services of CIKM Facilitators to help CFs undertake Knowledge management activities at the national, facilitate interactions among stakeholders, and between CFs and AFAAS Secretariat. 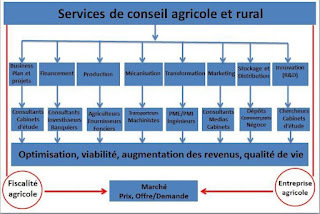 The objective of the assignment is to support the Cameroon Forum for Agricultural Advisory Services (CAMFAAS)'s Secretariats in Cameroon and members to undertake KM activities that contribute to the AFAAS mission and goal. The KM Facilitators will work under the supervision of the CF Focal Persons and report to AFAAS Communications, Information and Knowledge Management Officer. The KM Facilitators shall be based at the CFs Secretariat. i A minimum of a Bachelor’s degree in a field related to Journalism, Public relations, Communication, or Knowledge management. The assignment shall run for one year from the starting date. - All application must be submitted no later than March 13th at 23:59 (Cameroon time zone). L’Agriculture reste le seul secteur capable de booster la croissance économique en Afrique. Ce secteur contribue pour au moins 20% au PIB de la plus part de pays du continent et absorbe environ 60% de la main d’œuvre active. Au Cameroun, depuis 2006 plusieurs initiatives sont mises en place pour encourager les jeunes à s’investir davantage dans le secteur. Cependant, les mesures accompagnement ne leur permettent pas toujours de s’investir le secteur. on observe un manque d’accès à la terre, une insuffisance des infrastructures de base et une insuffisance des services d’appuis conseil. 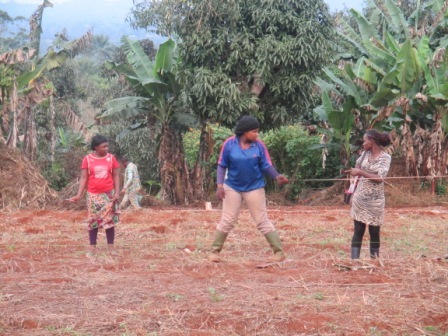 Dans le cadre des activités d’YPARD au Cameroun en collaboration avec les autres organisations de jeunes, une stratégie de suivi et d’orientation des jeunes agriculteurs a été mise en place. Ceci permet ainsi de partager les cas de réussites avec les autres jeunes afin de mieux les inspirer. Depuis deux ans, une vingtaine de jeunes sont suivi dans la mise en place au quotidien de leurs activités. Les jeunes ont une volonté manifeste de s’impliquer davantage dans le secteur, mais décrient toujours les moyens limités pour l’extension de leur projet. Aussi ils n’ont pas vraiment accès aux semences de qualité pour optimiser leurs facteurs. A l’occasion de la troisième conférence du Groupe Consultatif pour la Recherche Agricole et le Développement (GCARD3), une session spéciale est une fois de plus organiser pour permettre aux jeunes porteurs de projet d’exposer leurs idées et créativités. C’est une occasion pour mieux défendre les intérêts des jeunes et faire un plaidoyer pour leur implication effective dans les décisions mondiale de recherche et de développement de l’agriculture. Mon expérience dans le domaine et mes actions de plaidoyer déjà menées dans au niveau national que continental, sont des facteurs favorable à ma participation à cette rencontre importante. Parce que les jeunes ont besoins d’orientations et d’encadrement, ils ont besoins d’être inspiré pour développer leur potentiel. C’est pourquoi un appel est lancé aux dirigeants africains notamment de la sous région d’Afrique centrale, de respecter les clauses des accords de Maputo (PDDAA) et surtout de la déclaration de Malabo sur l’accélération de la croissance agricole. Les jeunes sont le diésel qui fera fonctionner les machines de production agricole pour la croissance économique en Afrique. Une seule chose reste à faire c’est de leur faire confiance et de leur accordé un peu d’attention sur les idées novatrices surtout à cette nouvelle ère de l’agriculture numérique inclusive en Afrique. This is a twice monthly bulletin on available funding opportunities which are posted on thewww.ypard.net website. If you have any comments or questions about this information service, please contact us at info@ypard.net. This service is provided in partnership with Terra Viva Grants. The Lincoln Institute of Land Policy calls for proposals on several themes related to land policy and urban development in Latin America. One of these themes is climate change and environmental risks, such as for populations living on flood plains and steep slopes. The Lincoln Institute will pay for the research project based on the scope of work and the justification of the proposed budget. Most recent projects are under US$30 thousand. The Darwin Initiative funds capacity building, training, research, and education in support of the major conventions on biodiversity -- focusing on the developing world. The program invites applications for main projects, which are normally around £250 thousand to £300 thousand for projects of up to three years. There are no restrictions on the location or nationality of applicants, but projects must benefit biodiversity and local communities in developing countries. The United Nations Alliance of Civilizations launched the third edition of Entrepreneurs for Social Change and youth aged 18 to 35 from the Euro-Mediterranean region are invited to apply. USAID-Monrovia invites applications for a 4-year agribusiness development activity as a component of the program "Feed the Future." USAID will promote agricultural inputs and post-harvest handling, processing, packaging, and marketing to raise the incomes of small-holder farmers in Liberia. Eligibility for funding is unrestricted. ACIAR awards the John Allwright Fellowship for university post-graduate studies in Australia. Applicants are citizens of ACIAR's priority partner countries, and engaged in an ACIAR collaborative project at the time of application. Each awardee pursues research at an Australian tertiary institution relevant to the project in which the awardee is engaged prior to taking up the award. WWF-India offers grants up to Rs. 400 thousand for conservation research or action projects of up to two years. Grants are made to individuals to be utilized primarily for field activities. Priority is for research and conservation aligned with WWF's program in India. The Seed Fund for Research and Training (SFRT) is open to individuals in ASEAN member countries for competitive grants up to US$15 thousand in research and training related to agriculture and rural development. The International Water Centre (IWC) is currently offering several full scholarships for high calibre international candidates* interested in studying the Master of Integrated Water Management (MIWM) commencing in Semester 1, 2016 at The University of Queensland. This call is open to Canadians, permanent residents of Canada, and citizens of developing countries pursuing a master’s or a doctoral degree at a recognized university OR who have completed a master's or doctoral degree at a recognized university. These research awards may be part of an academic requirement. The Pacific-American Climate Fund (PACAM) is a five-year project that provides grants to civil society organizations in the developing countries of the Pacific Islands to support measures for climate change adaptation. USAID-Kampala invites applications for a cooperative agreement to implement its Uganda Sanitation Program. The project will provide a series of contemporary, integrated water and sanitation interventions at community and household levels. Eligibility for this award is not restricted. Funding Opportunity RFA-617-15-000008. 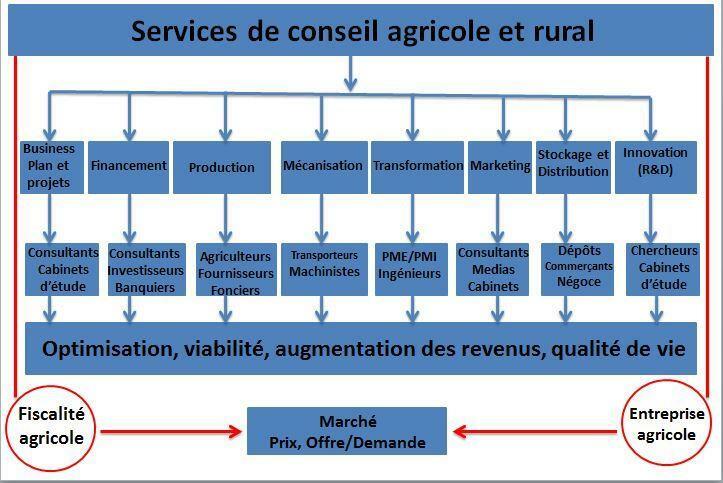 Conseil agricole et l'agriculture familiale au Cameroun: Quelles leçons? What strategies for boosting agribusiness in Africa: Do you have others ideas? NGOUAMBE. Thème Picture Window. Fourni par Blogger.